"Unlike Eddie, I've always been fond of Toons. 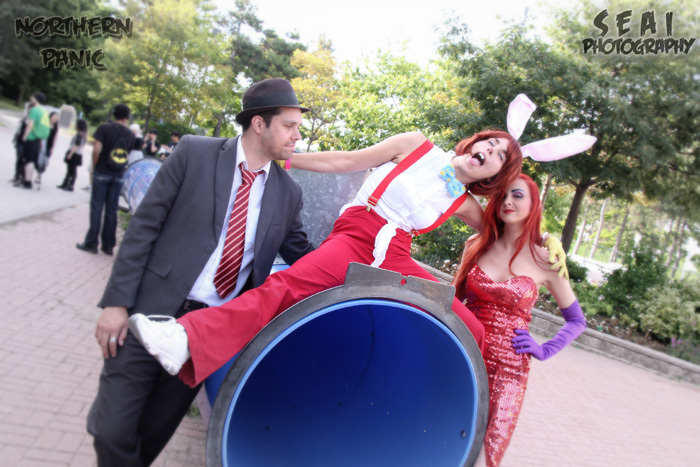 Back in December I donned Jessica Rabbit for the first time, and while I enjoyed it, it was nothing compared to becoming Roger. 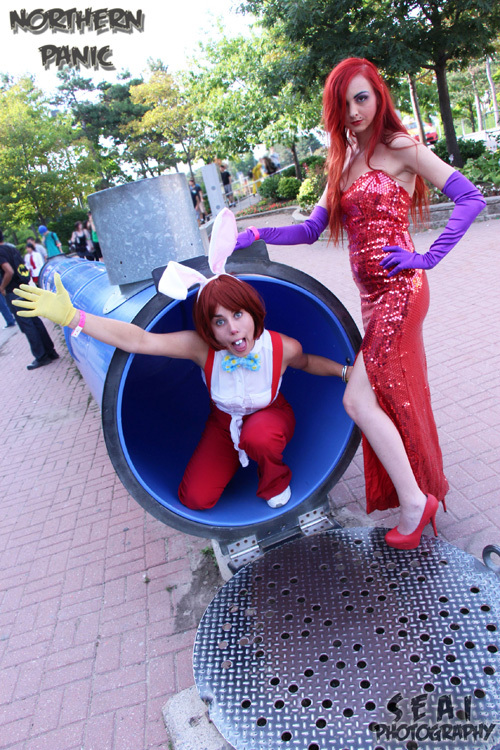 I first made the costume to play opposite �LI's Jessica Rabbit at Ottawa ComiCon and then reprised it again for Atomic Lollipop opposite my best friend Don't Panic Cosplay. 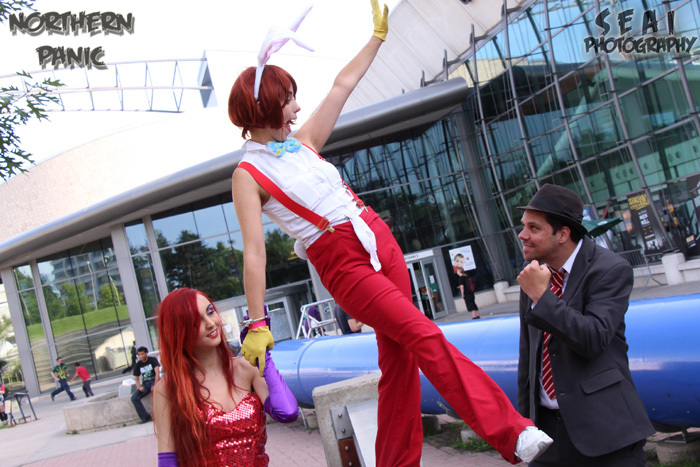 I adore Roger because with him, as with characters like Pikachu, I can really let loose and bounce around. I'm a bundle of energy and sometimes I find it difficult with more serious or demure characters. 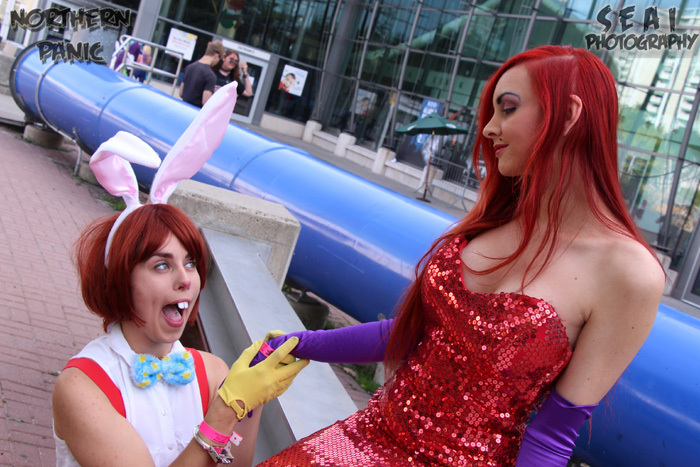 Getting a chance to be wild and wacky with out a care in the world reminds me of why I started cosplaying in the first place. It's about being able to release a part of your soul in a way that the world can understand. If I unleashed my crazy energy in a "normal" setting people would look at me strange and maybe even be uncomfortable by how loud/sociable/curious I can be, but by harnessing it through Roger I get to play with people who understand. 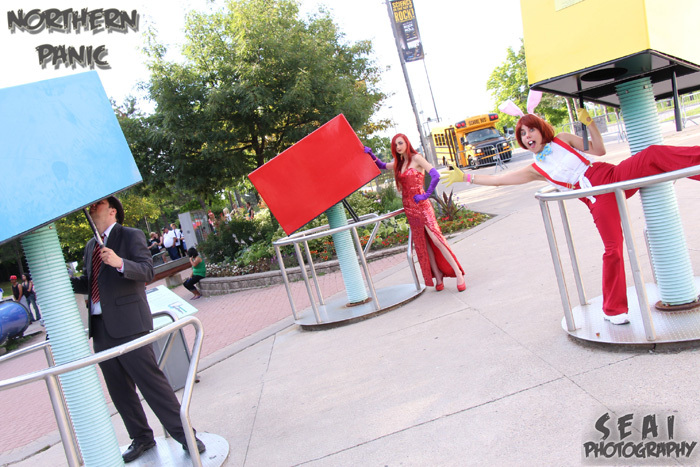 Plus it is always fun teaming up with Don't Panic & Cajun Cosplay."